Hello & Welcome to The Hanover Soccer Club Recreation or InTown Program. The recreation program is made up of several divisions for boys & girls pre-K thru 5th grade. Div 5 b & g - children grades 3rd thru 5th. There are 2 seasons per school year Fall & Spring. $10.00 discount for each additional child registered in the Rec program. The fee is only refundable if a player decides not to play prior to the start of the season. 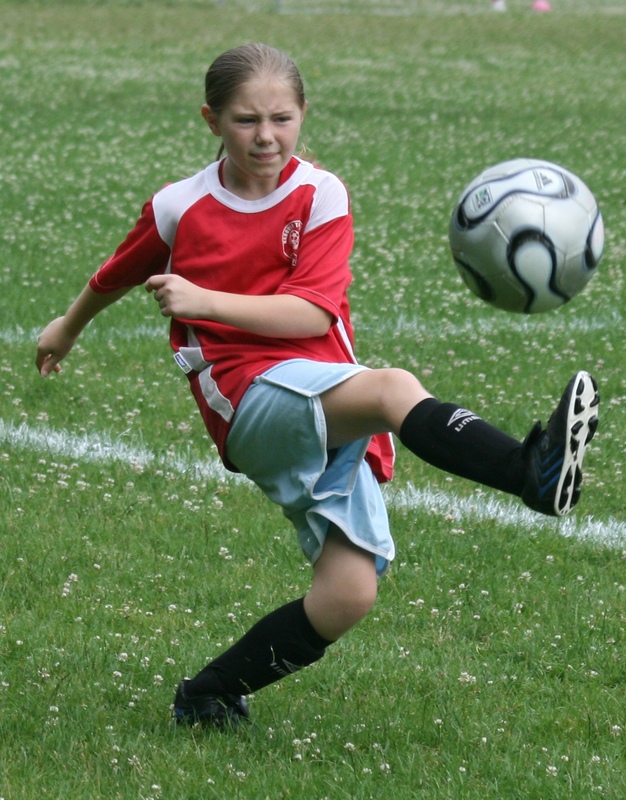 All children are required to wear shin guards at practices and games. Players will not be allowed on any field without them. no baseball cleats are permitted. Pre-K and Kindergarten kids are permitted to wear sneakers instead of cleats, although cleats are recommended. All players are required to have a soccer ball with them at ALL games & practices. Division 5 uses a #4 ball. Division 6 uses a #3 ball. There is a one hour practice per week, with games played on Saturdays. Practice days and times are at the coach's discretion and are usually held on weeknights. We are always in need of Coaches, Assistant Coaches and Division Heads. Please consider signing on as a volunteer. HSC receives numerous requests each season for children to be on teams with specific children or coaches. The only requests that will be accommodated are for siblings within the same division. No child will be switched out of his/her division for any reason. Also; there will be no roster changes once the teams are announced. HSC reserves the rights to combine, divide, or eliminate divisions based on the # of registrants. Please feel free to contact (TBA) if you require any further information.